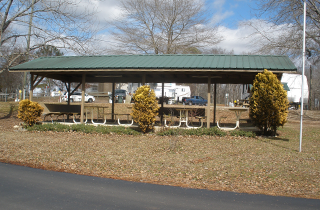 You can enjoy all the benefits, amenities, and fun of our local Forsyth, GA RV park: L&D RV Park! Call now to find out more reasons why you should park your camper here today! Life is worth living and with comfortable campgrounds like ours, you can enjoy it as well! Call now! Life is what you make it. Make it a great one at L&D RV Park! and a beautiful lake nearby at L&D RV Park in Forsyth, GA! 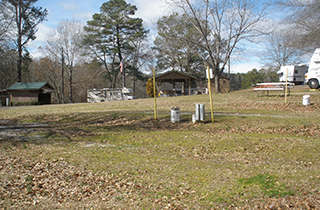 In Forsyth, GA, there is a beautiful and peaceful lake called Lake Juliette, and near this romantic spot is our clean and well-maintained RV park where travelers and locals alike can enjoy a quiet and pleasant location to rest. Whether you are traveling through on your way to Macon, Atlanta, Jackson, or Lake Juliette or you would like to spend some time partaking of the wonderful things to do in Forsyth, GA, we are the best RV park around. 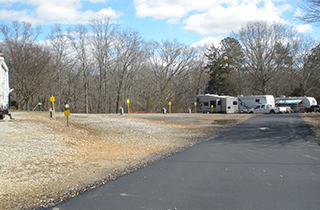 We do our best to keep L&D RV Park as clean and as well-maintained as our clients like it, and you can be sure that we succeed in making it a destination worth visiting. The electric and water hookup at every site of 50, 30, and 20 amps and the covered pavilion are just a couple of the ways that we try to make your life easier while living out of your camper. The spacious bathrooms and the convenient laundry building will help you to take care of everyday necessities. Our well-lit campground will help you feel safe at night and help you feel comfortable with taking nightly walks. There is a lot to do in our area, with visits to historic places and Lake Juliette being some of the favorite outings. Whether you are traveling through Georgia or you are settling down for a bit in Forsyth, GA, you must not forget to try some Lake Juliette fishing and some State Park hunting. Come park your motor home with us at L&D RV Park, relax, get refreshed, and then explore all that there is to know in the surrounding areas. You will not be disappointed. Check out our quiet, friendly, reasonable rates!